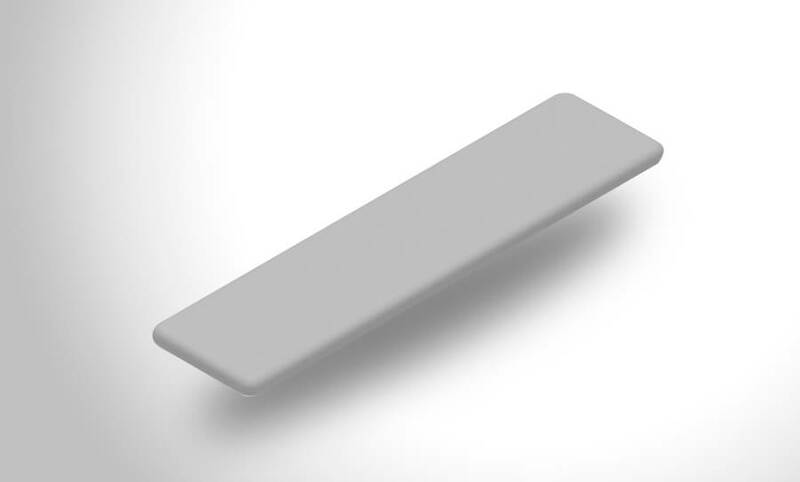 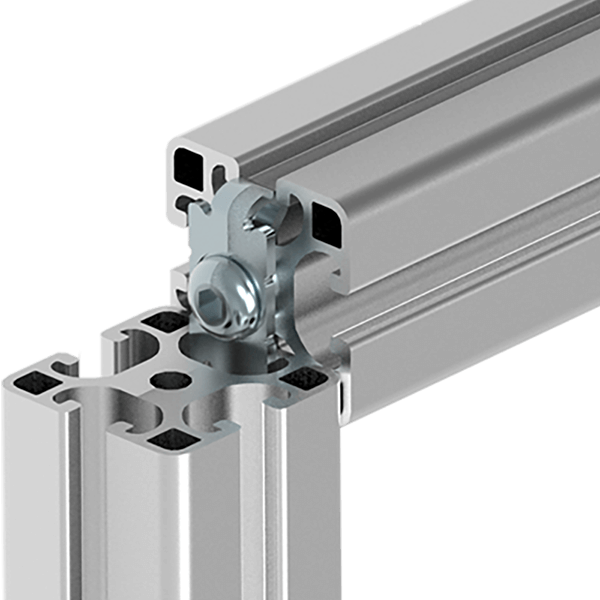 The foundation for aluminum profile is the extruded T-slot groove and aluminum alloy’s light-weight make-up. 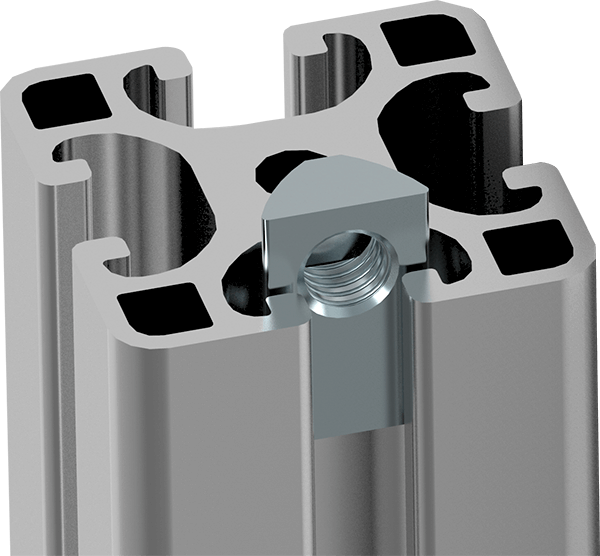 T-slot nuts and fastening technology allow for high straightness tolerances and joints to be as strong as welded steel. 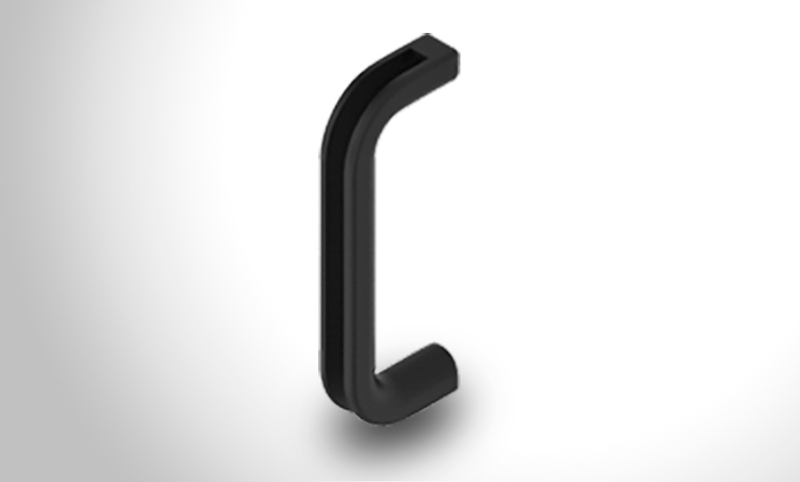 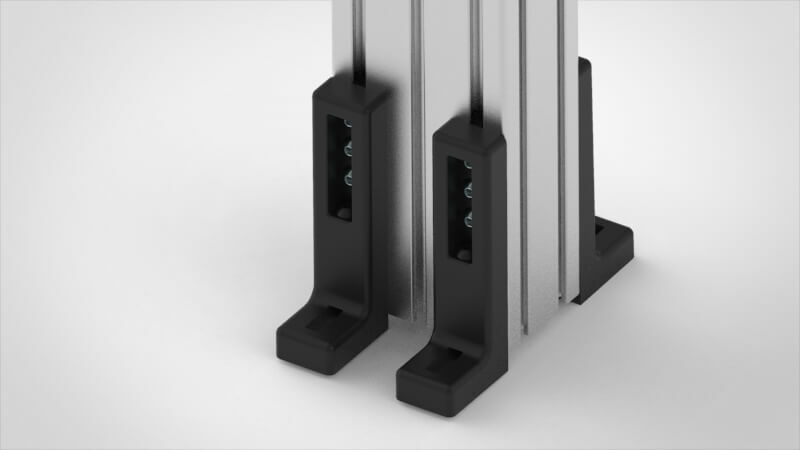 The groove flank inclination is a design feature that ensures stable and anti-vibration connections when securing all profile, accessories and other components. 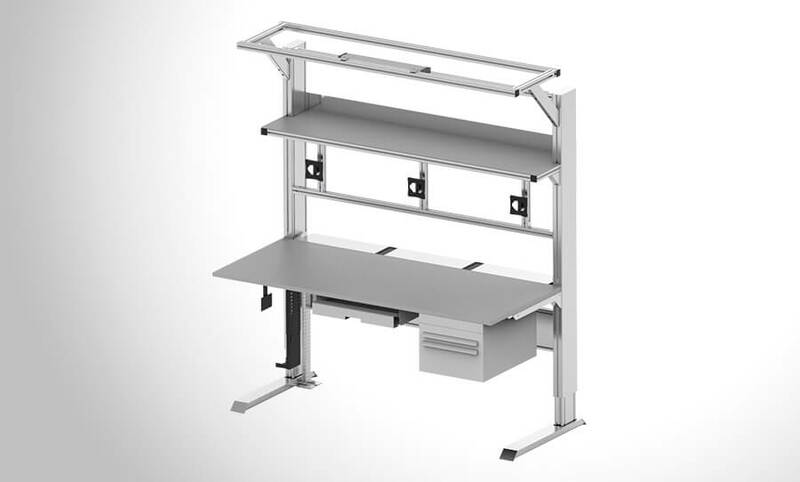 Project modifications, configurations and additions are quick and easy. 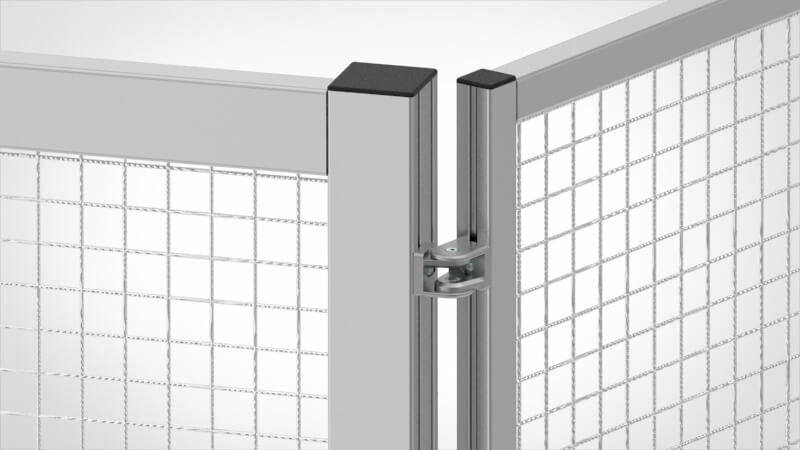 Modular design principles are incorporated for complex application builds. 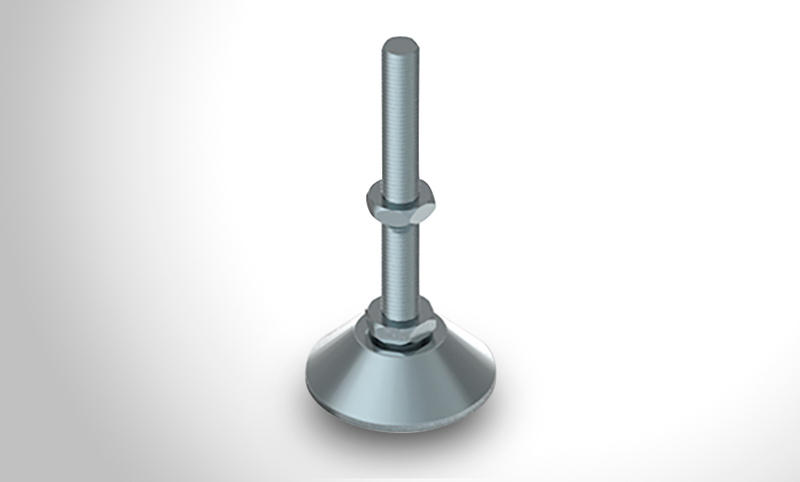 MB Kit Systems' product line includes a range of T-slot nuts, many designed for specific applications or to work with particular components. 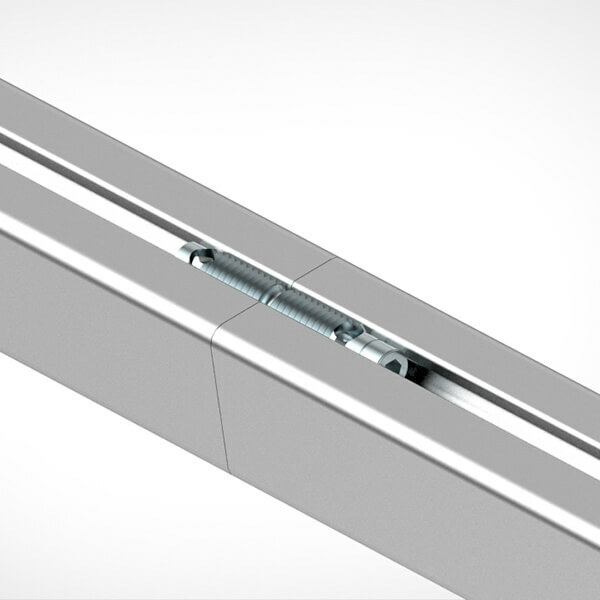 The workhorse across all of the extruded aluminum profile lines is the T-Slot Nut St. 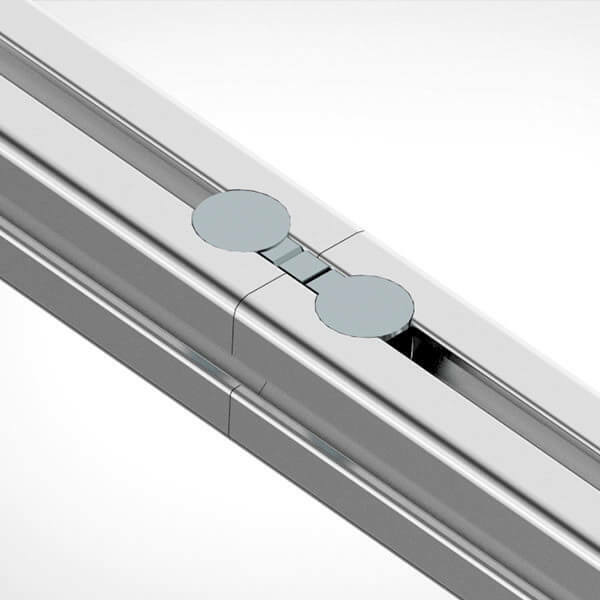 The spring ball-bearing within the T-slot nut St and many of our other T-slot nuts offer easy roll-in installation into an exposed profile groove. 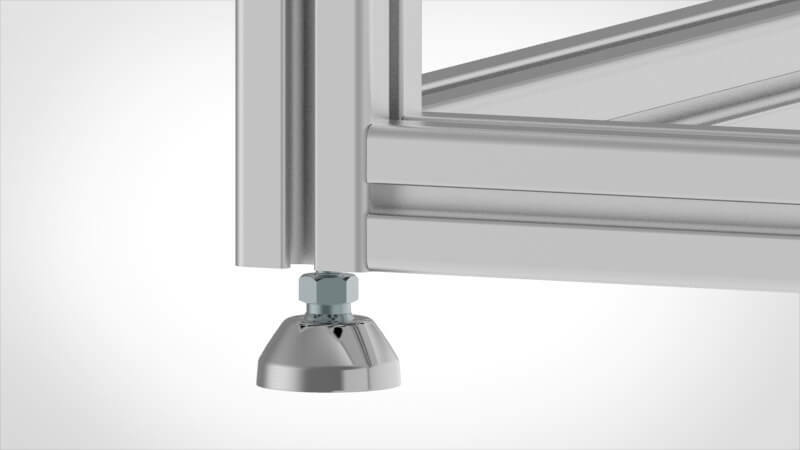 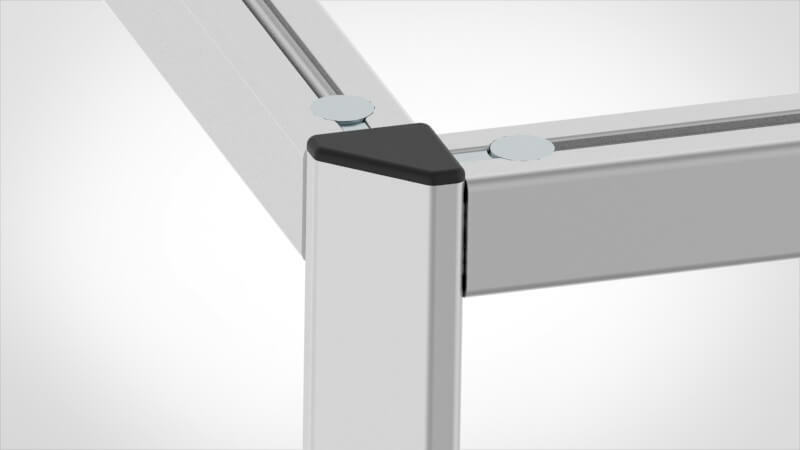 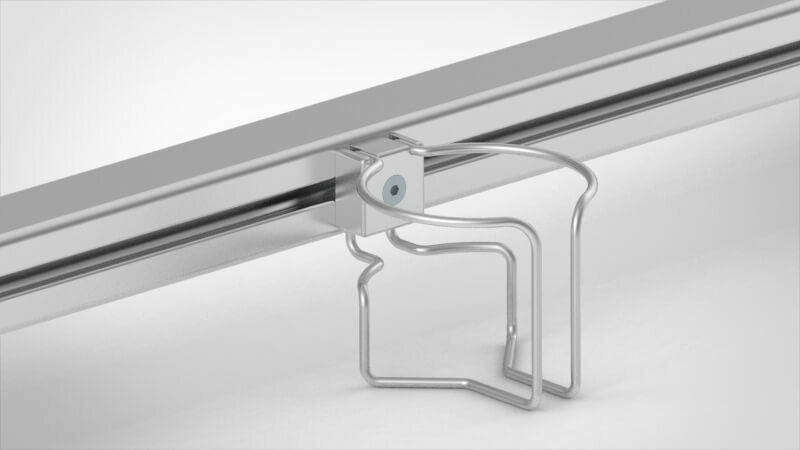 This allows for additional profiles, accessories, and components to be added without requiring disassembly of an existing frame. 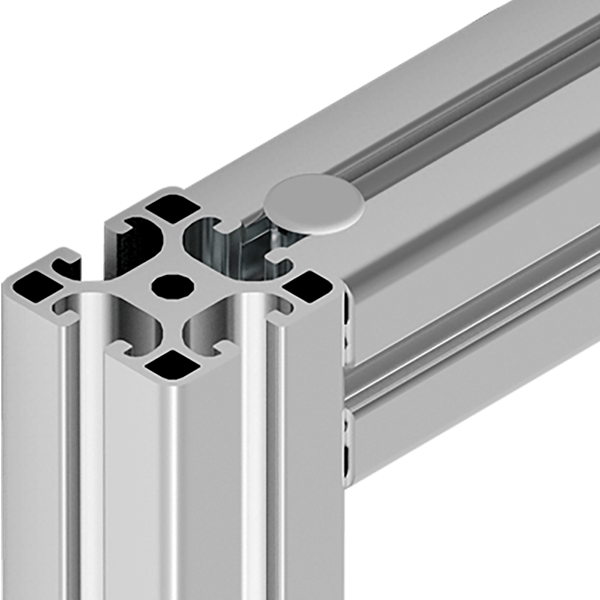 The high-quality T-slotted extruded aluminum profiles, accompanied with the fasteners and accessories, enable machine frames to be designed confidently. 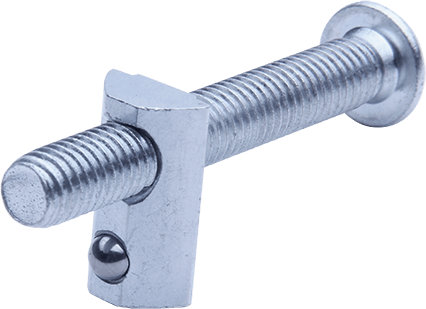 These fasteners are a product of many years of research, development, and experience working with extruded aluminum. The results are solutions with reliable connections, at less weight, and an unparalleled versatility to accommodate diverse capabilities. 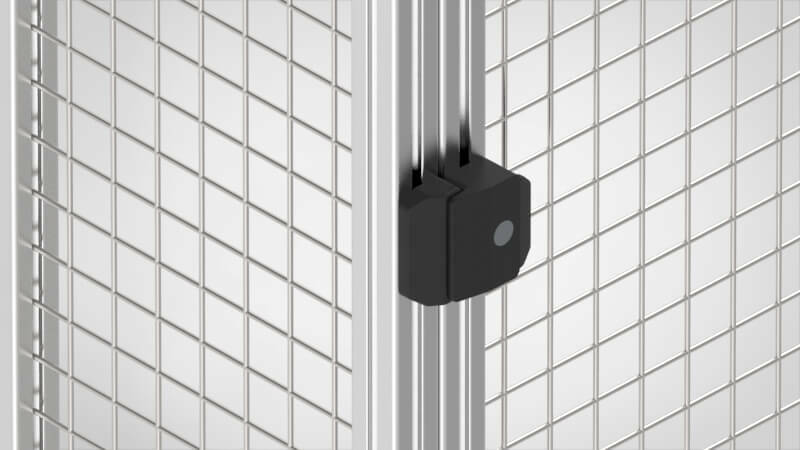 Adds ability to connect profiles by their end faces. 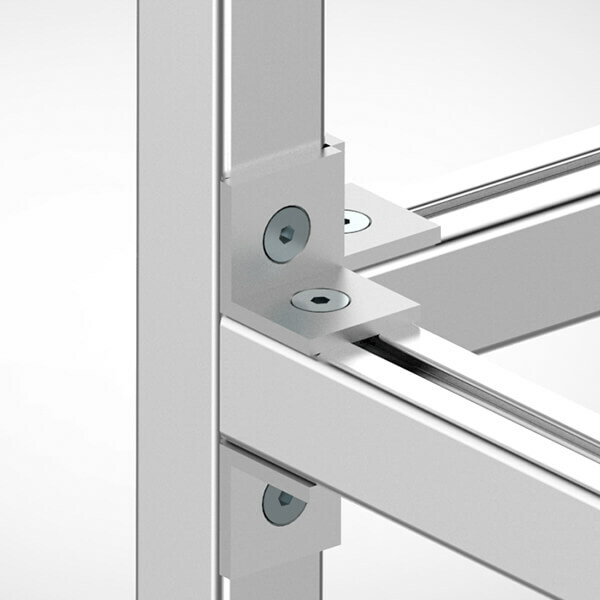 Machining not required. 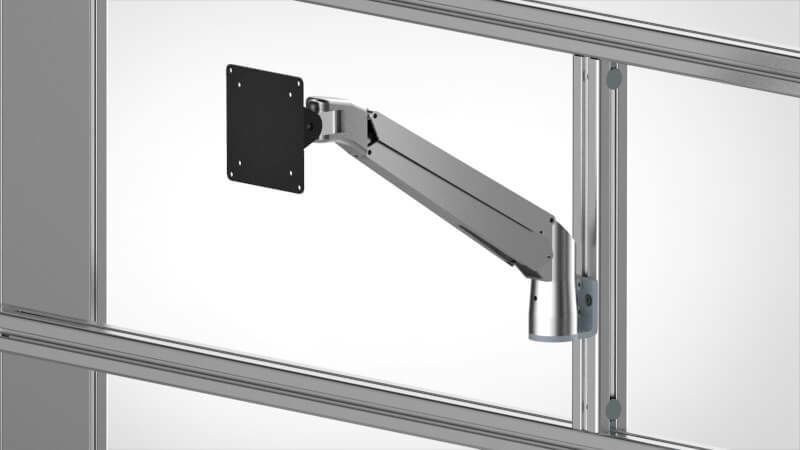 Adds ability to connect profiles by their end faces. 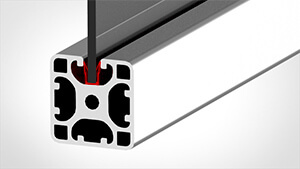 Profile connections from any angle. 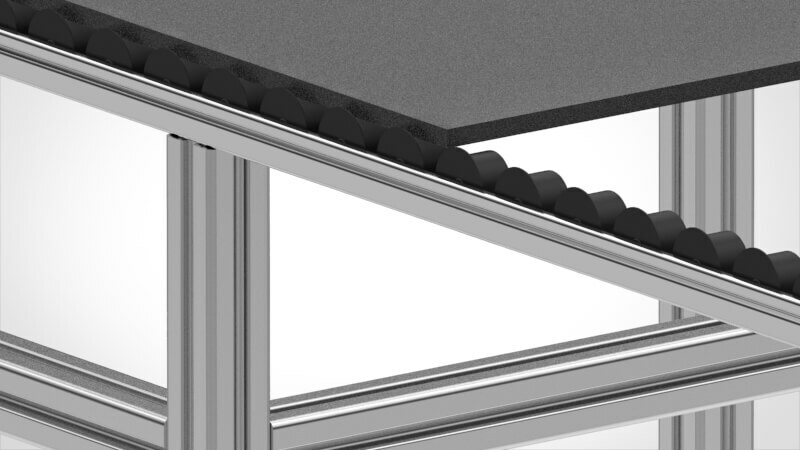 The T-slot profile groove remains open for other elements. 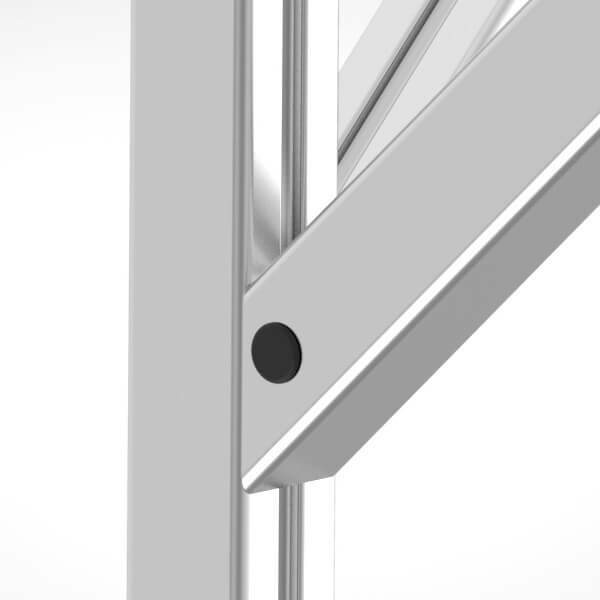 Requires no profile machining. 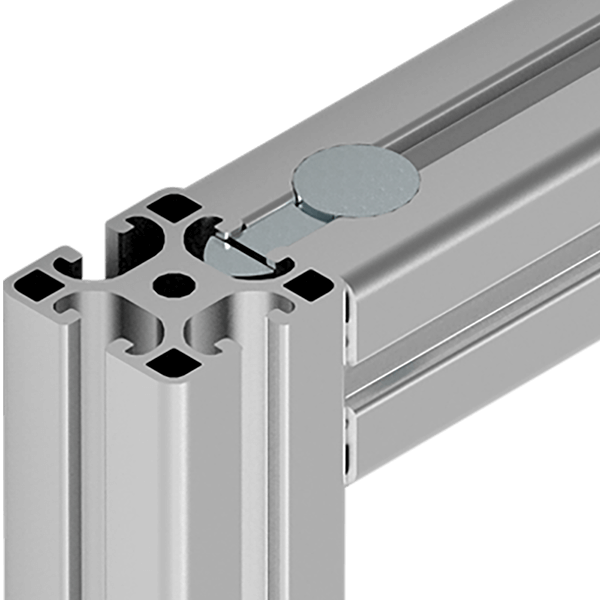 Reinforces profile connections. 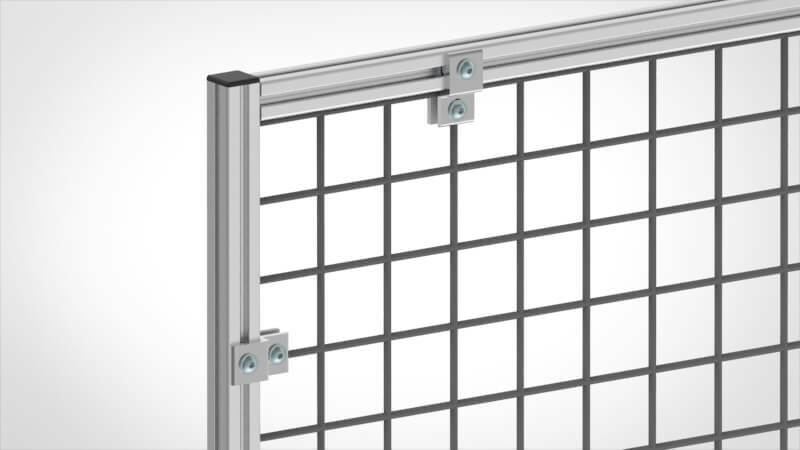 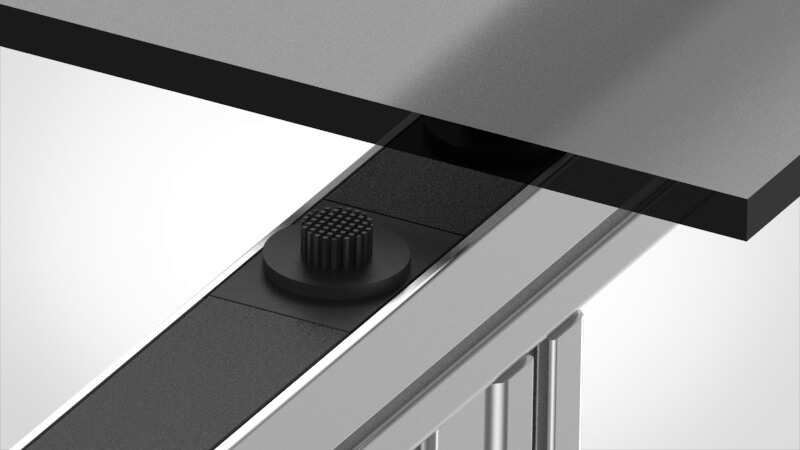 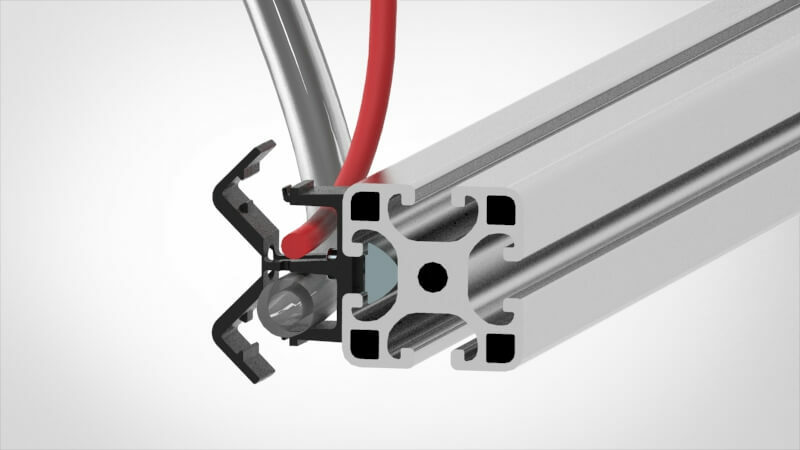 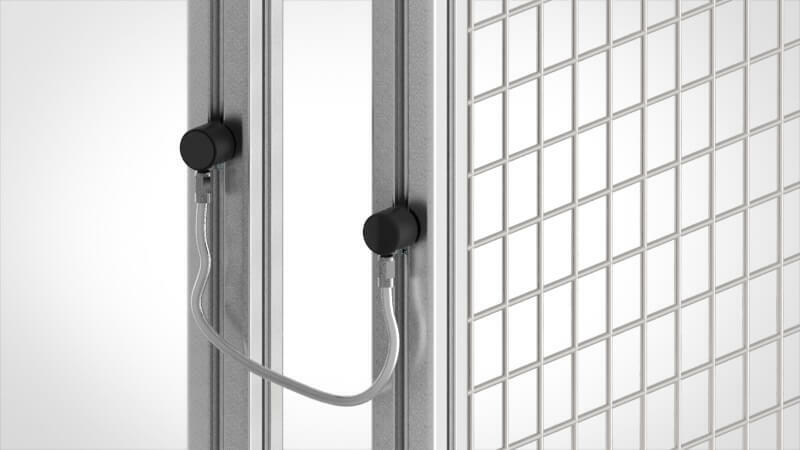 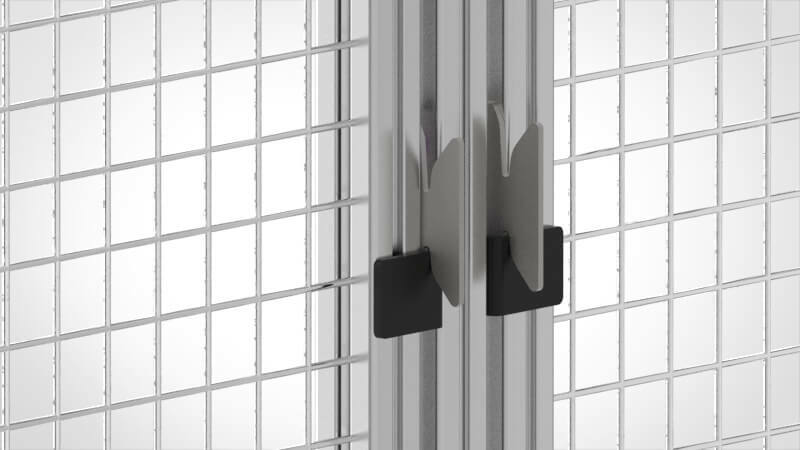 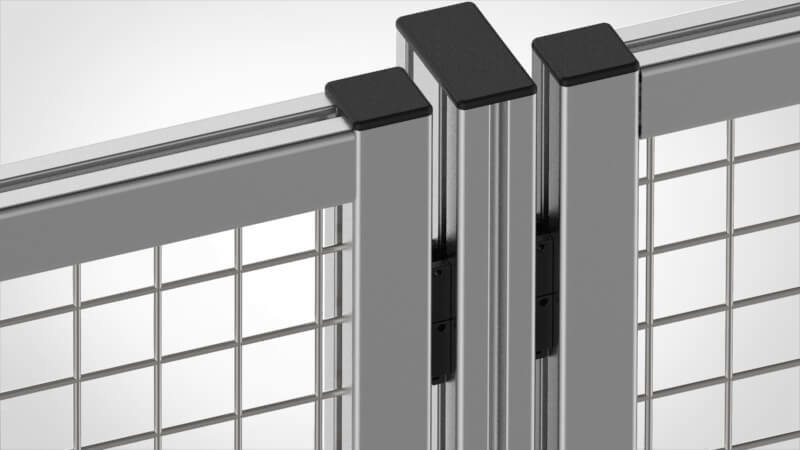 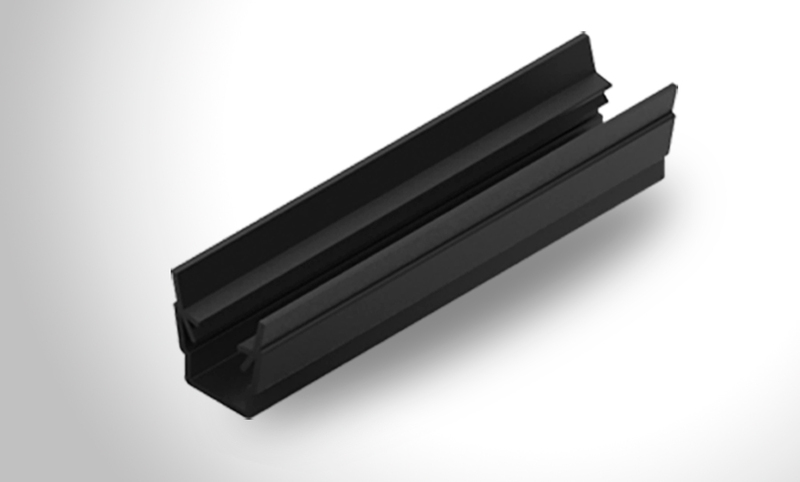 The benefits of T-slotted profiles expand greatly with the ability to use functional components, hardware and accessories. 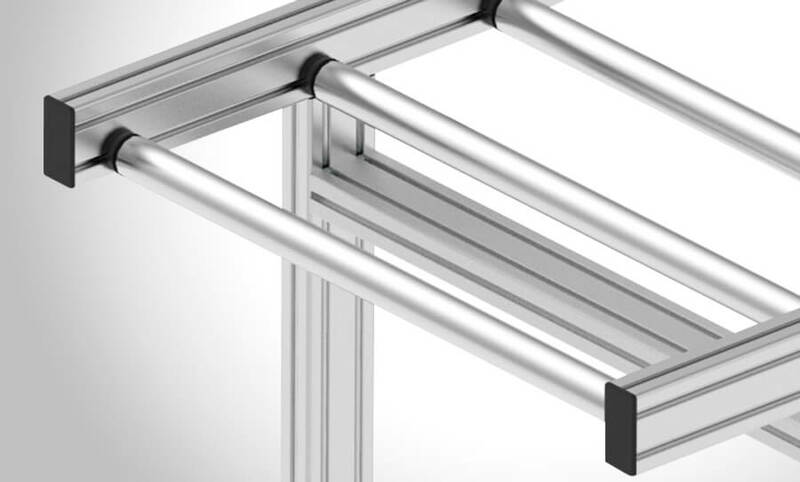 MB Kit Systems has an ever expanding line of components with over 1,000 different T-slot components pieces for you to choose for your project. 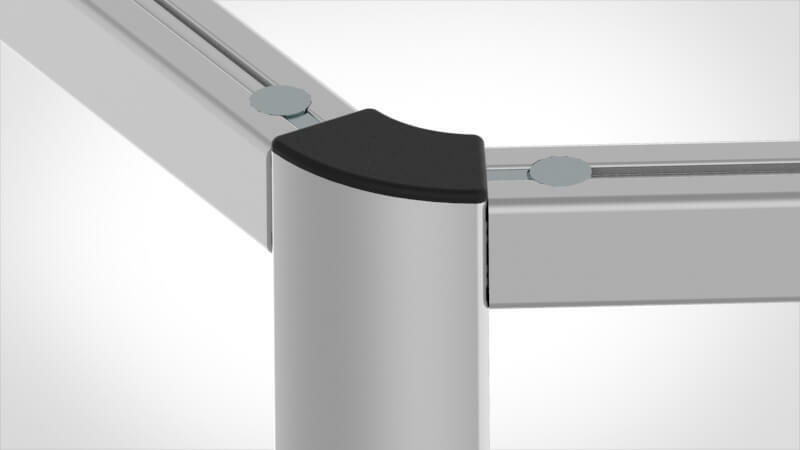 The collection of components was established to meet complex design applications from a customer base with strict requirements. 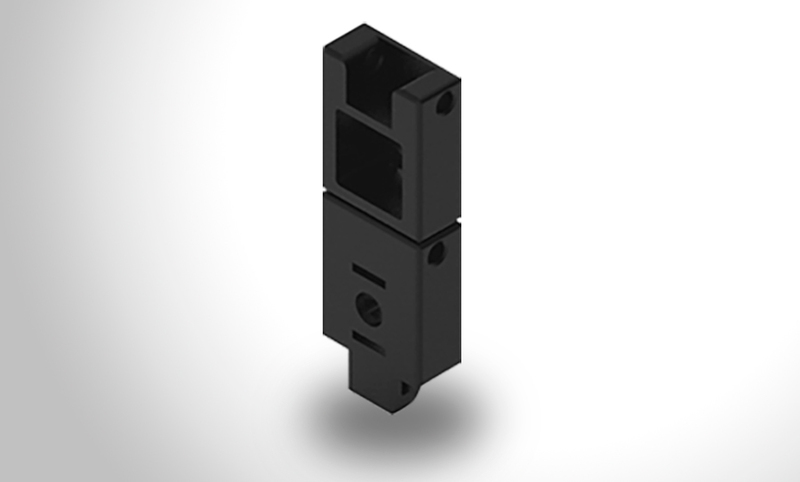 Looking for a specific component? 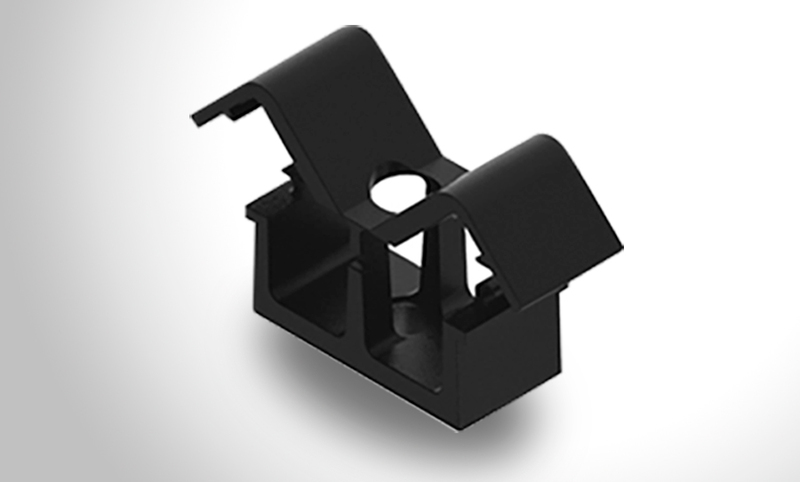 With over 1,000 different component pieces and the ability to make custom hardware with our machining capabilities we most likely have what you need.